Reproductive physiology, Environmental physiology, Respiratory physiology, Physiology of digestion, Teacher Education. Natural Resource Economics (Economics of Forest resources, Agricultural resources, Fisheries resources and Wildlife resources); Economics (Microeconomics & Macroeconomics); Project Appraisal; Modelling Systems. 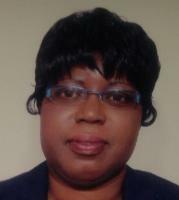 I am an Agricultural Economist, with special interests in agricultural marketing and international trade. 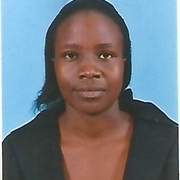 Currently I am a Lecturer in the Department of Applied Economics, University of Eldoret. 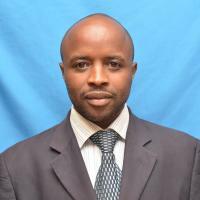 My research interests are in the areas of agricultural marketing and international trade, climate change and food security. Currently, I am part of a farmer research network (FRN) team (in collaboration with McKnight Foundation) undertaking research aimed at promoting adoption of soil and water conservation technologies in West Pokot County. Otinga, A.N., Pypers, P, Okalebo, J.R., Njoroge, R., Emong’ole, M., Six, L., Vanlauwe, B., and Merckx, R. (2013). Partial substitution of phosphorus fertilizer by farmyard manure and its localized application increases agronomic efficiency and profitability of maize production. Field Crops Research 140, 32-43. DOI: 10.1016/j.fcr.2012.10.003. 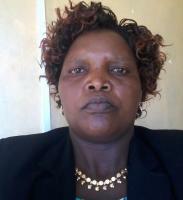 Kisinyo, P.O., Gudu, S.O., Othieno, C.O., Okalebo, J.R., Maghanga, J.K., Opala, P.A., Agalo, J.J., Ng'etich, W.K., Kisinyo, J.A., Osiyo, R.J., Nekesa, A.O., Makatiani, E.T., Odee, D.W. and Ogola, B.O. (2012). Effects of lime, phosphorus and rhizobia on Sesbania sesban performance in a western Kenyan acid soil. African Journal of Agricultural Research 7 (18), 2800-2809. DOI: 10.5897/AJAR11.1450. Nekesa, A.O., Okalebo, J.R., Othieno, C.O., Thuita, M.N., Njoroge, R., Bationo, A. and Waswa, B. (2011). The potential of increased soybean production in Uasin Gishu District resulting from soil acidity amendment using Minjingu Phosphate Rock and agricultural lime. In: Bationo, A., Waswa, B., Okeyo, J.M., Maina, F., Kihara, J. (Eds) Innovations as key to Revolution: Exploring the Scientific Facts. Springer +Business Media. pp 343-348. Okalebo, J.R., Othieno, C.O., Gudu, S.O., Woomer, P.L., Karanja, N.K.., Serrem C, Maritim H.K., Sanginga, N., Bationo, A, Muasya, R.M., Esilaba, A.O, Adesina, A., Kisinyo, P.O., Nekesa, A.O., Thuita, M.N. and Waswa, B. (2011). The Africa Green Revolution and the Role of Partnerships. In: Bationo, A., Waswa, B., Okeyo, J.M., Maina, F., Kihara, J. (Eds) Innovations as key to Revolution: Exploring the Scientific Facts. Springer +Business Media. Nekesa, A.O., J.R., Okalebo and S. Kimetto. (2007) Adoption of leguminous trees/shrubs, compost and farmyard manure as alternatives to improving soil fertility in Trans Nzoia District, Kenya. 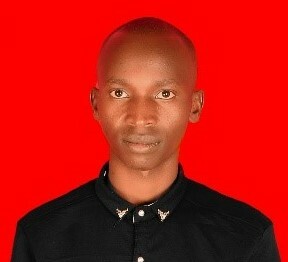 In: Bationo, A., Waswa, B., Kihara, J. Kimetu, J. (Eds). (2007). Advances in Integrated Soil Fertility Management in sub-Saharan Africa: Challenges and Opportunities. Springer NL. pp 951-956. Taxonomic studies and investigations on the nutritional composition of three Stengelioid species of the Genus Vernonia Moench (Vernonieae: Asteraceae) in Tropical East Africa. A study on the reproductive biology success, phenology and genetic diversity of Osyris lanceolata Hoscht and Steudel (East African Sandalwood) in Kenya. Domestication of safe medicinal species for income generation, improvement of herbal health care provision and conservation of the environment. Dynamic model of the hygrothermal environment in a broiler chicken house. A PhD research project funded by National Council of Science and Technology (Ksh. 1.2 Million). This is a PhD project Started from 2011 to end in 2015. The project is currently in second phase. Effect of herbal extracts on fertility in laboratory rats, Oral anti- diabetic herbal extract, Effect of herbal extract on hypothyroidism. Aloo, Becky Nancy, Matasyoh, Lexa Gomezgani and Too, Emily Jepkosgei, Bioconversion of organic residues into Single Cell Protein (SCP); Turning Debris into Delicacies. 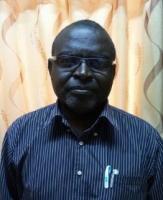 African Journal of Education, Science and Technology, Oct/Nov, 2013 Vol 1, No. 2.Pp 32-37. 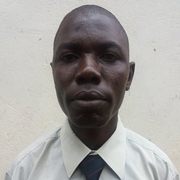 Aloo Becky Nancy, Mulei Josephine and Mwamburi Aluoch Lizzy, Slow Sand Filtration of Secondary Sewage Effluent: Effect of Sand Bed Depth on Filter Performance, International Journal of Innovative Research in Science, Engineering and Technology, Aug, 2014 Vol 3, Issue 8.Pp 15090-15099. FACTORS WHICH INFLUENCE ACADEMIC PERFORMANCE IN BIOLOGY IN KENYA. Serem, D.J. (2011) Attitudes of the Youth towards the Elderly in a Changing Society. International Journal of Current Research. Special Issue August. Katana, S. J. S., Ucakuwun, E. K. and Munyao, T. M. (2013): Detection and prediction of land cover changes in Upper Athi River Catchment, Kenya: A strategy towards monitoring environmental changes. Greener Journal of Environmental Management and Public Safety, Vol. 2 (4), pp. 146-157. Sitati, N. W., Ucakuwun, E. K. &Wishitemi, B. W. (2008):Spatio-Temporal analysis of land use types in the Masai Mara Wildlife dispersal area, Kenya. East African Journal of Applied Science, Vol. 1, p. 25-32. Cheserek, B. C., Kipkorir, E. C., Ucakuwun, E. K. and Ng’etich, W. K. (2009): Mapping soil erosion risks in Timbilil Tea Estate, Kericho District, Kenya using remote sensing and geographic information systems. Tea 30 (1), 2009, p. 54-62. Rugut, E., Muasya, R. & Gohole L. 2010. Longevity of Bean (Phaseolus vulgaris) Seeds Stored at Locations Varying in Temperature and Relative Humidity. Journal of Agriculture, Pure and Applied Science & Technology 5: 60-70. Maina, F.N. W., R. M. Muasya and L. S., Gohole, 2011. Dormancy Breaking in Jute Mallow (Corchorus olitorius) Seeds. Seed technology Journal Volume 33 Number 2 2011, PP. 147 – 154. Maina, F.N. W., R. M. Muasya and L. S., Gohole, 2012. Morphological characterization of jute mallow, Corchorus sp. to assess its genetic diversity in Western Kenya. Baraton Interdisplinary Research Journal Vol. 2 No. 2, 2012: 21-9. Maina, F.N. W., R. M. Muasya and L. S., Gohole, 2012. Effect of harvest and post harvest practices on seed quality of jute mallow vegetables. 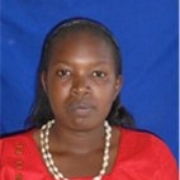 Laikipia University Journal of Science and Technology, 2013: 23 - 30. 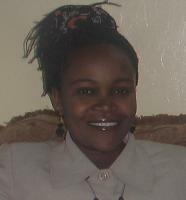 Maina, F.N.W., Mathege, P.W., Mwathe, Z.M. and Mathege, M.M., 2014. Challenges Facing the Tea Sector in Nyeri County. In the 1st International Tea Conference on Tea Science and development held on 25th to 27th September 2014 at Karatina University. 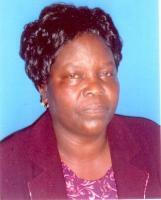 Oyoo-Okoth E., Osano O., Mugo-Bundi J., Simiyu G.M., Namu F.M., Ph.D; Kiptoo K.K., Jumba B. (2014). Combining toxicological knowledge of fish-parasite interaction and human dietary patterns in understanding epidemiology of element transfers from fish to humans. Journ. Science of Total Environ. Kios, D.K., M.N. Ongubo, J.K. Kitilit, H.A. Rachuonyo, G.O. Oliech and K. Ndiema. 2014. Multiple ovulation and embryo transfer in Kenya: A review of the success rates and lessons learnt. African Journal of Education, Science and Technology. 1:3:.99-105. Kitilit, J.K., K. Changwony, G.M. Mureithi, D.K Kios and H.A. Rachuonyo. 2014. Effect of concentrate supplementation on milk yield and density in dairy farms. African Journal of Education, Science and Technology. 1:3:111-114. Rachuonyo, H.A., Curtis S.E., Hoeft, R.G., Gonzini, L.C. and Ellis, M. 2013. Determination of nutrient digestibility, nitrogen retention and excretion and 15N dilution from labeled corn in swine diets. African Journal of Education, Science and Technology. 1:1.:21-38. Rachuonyo, H.A. and J.J. McGlone. 2006. Impact of outdoor gestating gilts on soil nutrients, vegetative cover, rooting damage, and pig performance. J. Sustainable Agric. 29(3):69-87. 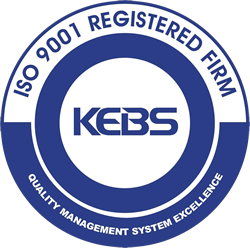 All awarded by Kenya Bureau of Standards in 2017 Certificates in Quality Management Systems ISO 9001:2015 Internal Quality Audit Course, Quality Management Systems ISO 9001: 2015 Standards, and Trainers of Trainers and Documentation. 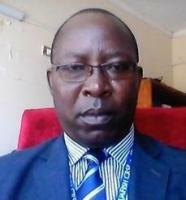 Odwori, P. O., Ipara, H. and Kimanzi, J. K. 2015. 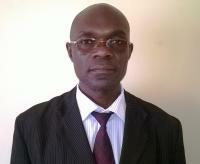 Policy Conflicts in the Management of Natural Resources in Kenya. Journal of Technology and Socio-economic Development 4:115-118. Edwin M. Kiria, Jeremia N. Ayonga and Hellen Ipara. 2014. Promoting Effective Community Participation in Land Use Planning and Management of Wildlife Conservation Areas. Journal of Natural Sciences Research. Vol. 4, No. 20. PP 29-34. ISSN 2225 – 0921. Odwori, P. O. Ipara, H. Chirchir, F. Cheruyoit, G. and Lucy Koros. L., 2013. Gender influence in agroforestry: a comparative historical study. Journal of Technology and Socio-Economic Development Vol 2, Sept 2013. PP 217-221. Ipara, H. I. and Odwori, P. 2013. The gender dimension in natural resource management: implications on wildlife conservation. Published in proceedings of Institute for Gender Equity, Research and Development (IGERD) Symposium Proceedings on Women and Leadership: Sharing Minds; Changing Lives. Moi University, 2013. Flowered Project Research funds awarded to UOE research team by European Commission to support research on de-flouridation water technologies in Nakuru County, Kenya. Fermentation Quality of Sweet Potato Vine Silage at Different Molasses Levels. 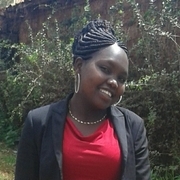 •	Abigael, A.O, Ochuodho, J.O, Were, J.O and Rop, N.K (2014) ‘Response of spring and winter barley to net blotch (Pyrenophora teres) under high and medium altitude zones of Kenya’. International Journal of Research In Agriculture and Food Sciences 2(2): 1-10. Abigael, A.O, Ochuodho, J.O, Were, J.O and Rop, N.K (2014) ‘Response of spring and winter barley to net blotch (Pyrenophora teres) under high and medium altitude zones of Kenya’. International Journal of Research in Agriculture and Food Sciences, 2 (2): 1-10. 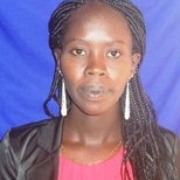 Abigael, A.O, Ochuodho, J.O, Were, J.O (2013) ‘Morphological diversity of net blotch fungi (Pyrenophora teres) infecting barley (Hordeum vulgare) in barley growing areas of Kenya.’ Journal of Experimental Biology and Agricultural Sciences, 1(6): 472 – 479. Were, J.O, Peres, C.N, Ochuodho, J.O, Rop, N.K and Abigael, A.O, (2015) ‘Diversity and selectivity of Mycotoxin fungi affecting Arachis hypogaea seed quality in western Kenya’. International Journal of Current Microbiology and Applied Sciences, 4 (3): 216-221. Were, J.O, Ochuodho, J.O, Rop, N.K, Omami, E.N, Anjichi V.E, Odero, P.M.O, Kimno, L.C and Abigael, A.O (2016) ‘Sensitivity of Pyrenophora teres pathotypes to temperature variation and effects on virulence and pathogenicity’. International Journal of Research Studies in Agricultural Sciences, 2(2): 8-13. Were, J.O. and Ochuodho, J.O. (2012) ‘Virulence and pathogenicity of Colletotrichum sublineolum and Colletotrichum gloeosporioides from leaf, stem panicle tissues on advanced sorghum genotypes and genetic basis of observed responses.’ International Journal of Agricultural Science, 2 (12): 336-345. Were J.O., Ochuodho J.O. (2012) ‘Morphogenetic diversity of Colletotrichum species infecting Sorghum bicolor in the lake basin regions of Kenya’. International Journal of Agronomy & Agricultural Research, 2 (11): 1-7. Were, J.O. and Ochuodho, J.O. (2012) ‘Influence of advanced Sorghum bicolor traits on response to foliar anthracnose (Colletotrichum sublineolum) in the Lake Basin regions of Kenya’. International Journal of Current Research, 4(12): 537-542. Elijah Oyoo-Okoth; Wim Admiraal; Odipo Osano; David Manguya Lusega; Veronica Ngure; Michiel H.S. 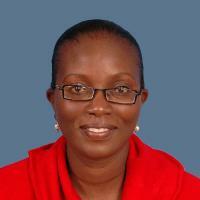 Kraak; Victoria Chepkirui-Boit; Judith Makwali. (2013). Contribution of soil, water and food consumption to metal exposure of children from geological enriched environments in the coastal zone of Lake Victoria, Kenya. Int. J. Hyg. Environ. Health Vol. 216(1) pp. 8-16. Elijah Oyoo-Okoth; Wim Admiraal; Odipo Osano; Michiel H.S. Kraak; Pamela J.A. Were-Kogogo; John Gichuki; Veronica Ngure; Judith Makwali; Caleb Ogwai. (2012). Dynamics of metal uptake and depuration in a parasitized cyprinid fish (Rastrineobola argentea). Aquatic Toxicology Vol. 124– 125; pp. 34– 40. Byrum W. Wabwoba, Christopher O. Anjili, Moses M. Ngeiywa, Peter K.Ngure,Elizabeth M. Kigondu, Johnstone Ingonga and Judith Makwali. (2010). Experimental chemotherapy of Leishmania major and Leishmania donovani using Allium sativum (Liliaceae) methanolic extract in rodents. Journal of Vector Borne Diseases. Vol. 47. (3) pp. 160-7. Oyoo-Okoth, Elijah; Wim, Admiraal; Osano, Odipo; Kraak, Michiel H.S. ; Ngure, Veronica; Makwali, Judith; Orina, Paul S. (2010). Use of the fish endoparasite Ligula intestinalis (L., 1758) in an intermediate cyprinid host (Rastreneobola argentea) for biomonitoring heavy metal contamination in Lake Victoria, Kenya. Lakes & Reservoirs: Research and Management.Vol.15 (1) pp. 63-73(11). University of Malawi , Chancellor College, Malawi Bed. Sc. Omondi EGO, Makobe MN, Matasyoh LG, Onyango CA (2013). Genetic variability of tissue cultured Sorghum bicolor (L) Moench as revealed by morphological traits and SSR markers. African Journal of Biotechnology Vol. 12 (1), pp. 1-7.
o	Antimicrobial assay and phyto-chemical analysis of Solanum nigrum complex growing in Kenya, NACOSTI Post-doctorate research grant, 2011-2014. •	Kamau, E.M., Kinyua, M., Kiplagat, O. and Gohole, L. 2011. Gamma radio sensitivity determination for lablab (Lablab purpureus) bean. Plant Mutation Reports 2 (3): 46 - 54. Maina, F.N.W., Muasya, R.M. & Gohole, L.S. 2011. Dormancy breaking in jute mallow (Corchorus olitorius) seeds. Seed Technology. 33 (2): 147-154 . Kamau, E. M., M. G Kinyua, M.G., Gohole, L. & Kiplagat, O. 2011. Screening of local lablab accessions for resistance to cowpea aphid. East Africa Agricultural and Forestry Journal 77 (2): 69-74. Mutiga, S.M., Gohole, L.S. & Auma E.O. 2010. Effects of integrating companion cropping and Nitrogen application on preference and infestation of collards by Brevicoryne brassicae. Entomologia Experimentalis et Applicata 134: 234 – 244. Gohole, L.S., Overholt, W.A. Khan, Z.R. & Vet, L.E.M. 2005. Close-range host searching behaviour of the stemborer parasitoids Cotesia sesamiae and Dentichasmias busseoale: role of a non-host plant Melinis minutiflora. Journal of Insect Behavior 18: 149-169. •	Research Projects o	Sustainable African Indigenous Vegetable Production and Market Chain Development for Improved Health and Nutrition and Income Generation by Smallholder Farmers in Kenya, Tanzania and Zambia. HORT-CRSP – USAID funded project- $979,856 o	Management of termites in maize systems in western Kenya. RUFORUM 2 year funded project – Kshs 1.8 million o	Integrated management of pests attacking African Indigenous Vegetables in western Kenya. Purdue University collaborative research – Kshs. 816,000. •	Consultancies o	2010- 2014 – Regional Representative for the McKnight Foundation Collaborative Crop Research Programme (CCRP), East & Horn of Africa (E/HAf) Community of Practice (CoP). Coordinate administrative activities, consider and review research proposals, oversee project monitoring and evaluation activities and organize regional research meetings. Mwamburi, L.A., M.D. Laing, and R. Miller. 2014. Use of two formulations and two application techniques to deliver Bacillus thuringiensis var. israelensis for the control of Muscadomestica (Diptera: Muscidae) larvae and adults in poultry houses. Biocontrol Science and Technology24: 336- 350. Helene Nyirahakizimana, Lizzy Mwamburi, JohnstoneWakhisi,CharityKawiraMutegi, Maria Elisa Christie, John MainaWagacha 2013. Occurrence of Aspergillus Species and Aflatoxin Contamination in Raw and Roasted Peanuts from Formal and Informal Markets in Eldoret and Kericho Towns, Kenya.Advances in Microbiology.(3):333-342. 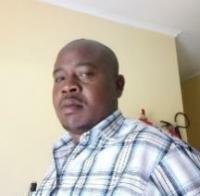 A W Mwongula, L A Mwamburi, M Matilu, D N Siamba, F W Wanyama. 2013. Seroprevalence of Chikungunya Infection in Pyretic Children Seeking Treatment in Alupe District Hospital, Busia County Kenya.International Journal of Current Microbiology and Applied Sciences. 2:130-139. L A Mwamburi, M D Laing, R Miller 2011. Laboratory and field evaluation of formulated Bacillus thuringiensis var. israelensis as a feed additive and using topical applications for control of Muscadomestica (Diptera: Muscidae) larvae in caged-poultry manure.Environmental Entomology 40(1):52-58. Climatology, Agricultural Geography, Research Projects in Geography, Economic Geography, Quantitative Methods in Geography, Geo Information Systems, Demography and Development of Geographic Thought. 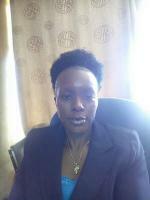 The project was co-funded by Egerton University. The study assessed trends and severity of drought events, their effects on livestock assets, effectiveness and usefulness of Seasonal Climate Forecast (SCF) in predicting drought events, and identified enabling conditions for better use of SCF among the pastoral communities. Odwori, P.O., Ipara, H., Kimanzi, J.and Muya, W. J. (2017): Contributions of Government Fish Farms to Farm Management and Rural Development in Kenya. African Journal of Education, Science and Technology (AJEST) 2017; Vol. 3, No. 4: 6 - 15. Odwori, P.O. (2016): Alleviating Food Insecurity and Landlessness through Plantation Establishment and Livelihood Improvement Scheme (PELIS) in Kenya. 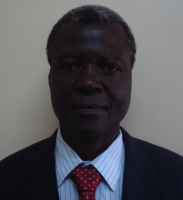 Africa Journal of Technical and Vocational Education and Training. Vol. 2 (2016): 182 - 190. Kimanzi, K. J., Wanyingi, N J., Ipara, H. and Odwori, P.O. (2016): Factors Influencing Population Dynamics of Five Antelope Species in Ruma National Park, Kenya. African Journal of Education, Science and Technology (AJEST) 2016; Vol. 3, No. 1: 59 - 70. Ipara, H., and Odwori, P.O. (2015): Role of Indigenous Knowledge Systems in Promoting Sustainable Wetland Management. Journal of Science and Applied Technology (JSAT)2015; Vol. 2, No. 1: 190 - 209. 2018-2019: Integrating community cultural values in conservation of the endangered Red colobus in Tana River Delta. 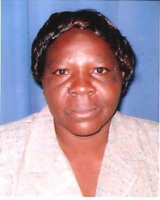 A project funded by University of Eldoret (UoE) Annual Research Grant; 2017 (March - April): End Term Evaluation of Farmer Managed Natural Regeneration (FMNR) Programme (Nakuru and Baringo Counties) – World Vision- Kenya. 2016 (February-April): Mid Term Evaluation of Farmer Managed Natural Regeneration (FMNR) Programme (Nakuru and Baringo Counties) – World Vision- Kenya. 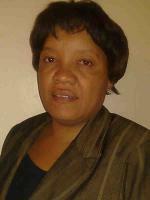 My research interests are in the areas of agricultural marketing and international trade, climate change and food security. Mutana, J., Chepng’eno, W. and Saina, E. (2018). Macro-Economic Determinants of Kenya’s Trade Balance. International Journal of Research in Innovation in Social Science 2(10), 49-54. A.W. 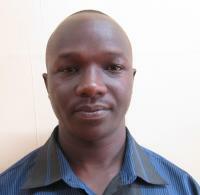 Barasa, P.O. Odwori, W. Chepng’eno, M. Atieno, A. Otinga J. Barasa. (2018). Willingness to Pay for Local Ready-to-Use Therapeutic Food for Malnutrition Management in Bungoma and Busia Counties. African Journal of Technical and Vocational Education and Training 3(1), 151-159. Chepng’eno, W. (2018). Effect of Price and Exchange Rate Volatility on Kenya’s Black Tea Export Demand: Pooled Mean Group Estimation. Journal of Development and Agricultural Economics (JDAE), Academic Journals 10(3), 71-78. Jerubet S., Chepng’eno, W. and Tenai, J. (2017). Effects of Audit Committee Characteristics on Quality of Financial Reporting Among Firms Listed In Nairobi Securities Exchange, Kenya. International Journal of Economics, Commerce and Management, Vol. V(1): 553- 569. ISSN 2348 0386. Koech R., Saina, E., Chepng’eno W., and Boit, R. (2015). The Use of Linear Programming in Land use Planning Strategies for Increased Food Crop Production. International Journal of Research in Agricultural Sciences, 2 (5): 224-228. 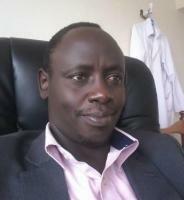 Ndayitwayeko, WM., Odhiambo, M.O., Korir, M., Nyangweso, P.M. and Chepng’eno, W. (2014). Comparative Advantage of the Eastern and Central Africa in the Coffee Sector: The Case of Burundi. Africa Crop Science Journal, 22: 987-925. Modeling Perception of Students towards Mathematical courses at University level Despite the entry behavior of students joining universities in Kenya being different. they do have at least one common denominator in the sense that they have all done Mathematics in high school. However, a substantial percentage of those getting admission to university tend to develop a negative attitude towards Mathematical courses. This has led to most of the students underperforming. The objective of this work will be to model the perception of the students towards mathematical courses at the university level. The results obtained will help in understanding students behavior putting necessary interventions in place. Bayesian Modeling of Speed-Changing Strategy in Major Athletic Competitions During major athletic competitions the competitors adopt different running strategies. This has been observed in both long and short races during the Olympics, Common Wealth games and other international events. Change of speed has been a common strategy which most athletes use in order to outdo their competitors or even break existing records. The distance covered before an athlete decides to change his or her speed can be considered as a random variable. Alternatively the speed of the athlete can be taken as a random variable which varies with distance covered. This setup renders the application of Bayesian Statistics quite feasible. However, there are constraints to be noted- the maximum speed cannot exceed certain value, maximum speed cannot be attained before coverage of a certain distance. Using Bayesian approach we seek to establish the (optimal) number of change-points that an athlete can have before breaking a record in short distance races. The expected results could be used in training of athletes in short distances( <800m). Project on Payment for Environmental Services for Environmental Conservation and Wealth Creation, Mount Elgon. Kokwon, C., Chesambu, A., and Sumukwo, J. (2018). Effects of Gender Roles on Food Security among Rural Households in Baringo North Sub-County of Baringo County, Kenya. African Journal of Education, Science and Technology. June 2018,Vol. 4, No. 3. 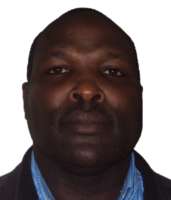 Sumukwo Joel (2017). Forest Income as an Insurance Diversification Strategy among Rural Farmers in South Nandi, Kenya. African Journal of Education, Science and Technology. Vol.4, No.2. ISSN:2309-9240. 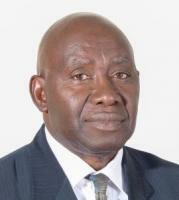 Mwatete,G.K.K. 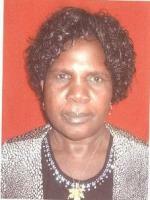 and Sumukwo, J. (2017). Assessing the Economic Value and Credit Market Potential of Carbon Stock in South Nandi Forest, Kenya. African Journal of Education, Science and Technology. Vol.4, No.2. ISSN:2309-9240. University of Idaho. Moscow, Idaho, U.S.A. (1990) Ph.D. Forestry (Forest Products). Université of Québec at Trois-Rivières, Québec, Canada. (1985) Maîtrise en Sciences Appliquées en Pâtes et Papiers (MSc. in Pulp and Paper Engineering). University of Yaoundé, Cameroon. (1979) Maîtrise ès Sciences en Chimie (MSc. in Chemistry). University of Yaoundé, Cameroon. (1978) Licence en Chimie (BSc. in Chemistry). Kingiri Senelwa, LazareEtiegni, Odipo Osano, Kirongo Balozi and Moses Imo. (2012). Environmental Impacts of Biofuels in Africa. 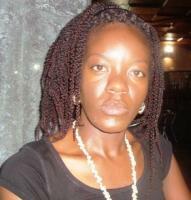 In: Bioenergy for Sustainable Development in Africa. Rainer Janssen & Dominik Rutz (eds). Springer: ISBN: 978-94-007-2180-7. Frank O. Masese, Philip O. Raburu, Benjamin N. Mwasi & Lazare Etiegni. (2012). Effect of Deforestation on Water Resources: Integrating Science and Community Perspective in Sondu-Miriu River Basin, Kenya. In: New Advances and Contributions to Forestry Research. Andrew Akwasi Oteng-Amoako (ed). Intech.ISBN:978-953-51-0529-9. Balozi B. Kirongo, Kingiri Senelwa, Kimani G. K., Imo Moses, Onkware A., and L. Etiégni 2014. The commercial profitability of growing Hybrid Eucalyptus clones: A case study of Coast Province, Kenya. Journal of Tropical Forest Management (Manajemen Hutan Tropika). Vol. 20 (1): 35-42. (ISSN 2087-0469). Myriam Munezero, Mark Irura, Balozi Kirongo, Lazare Etiegni, Jarkko Suhonen. 2016. 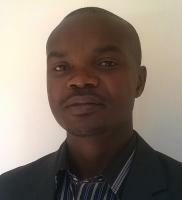 Challenges and Solutions To Providing Online Courses In Kenya: A Lecturer’s Perspective at a Kenyan University. The Online Journal of Distance Education and e-Learning (TOJDEL), January 2016 Volume 4, Issue 1, pp 1-14. Kenneth Rono, Andrew Tarus, Julius O. Manyala, Elizabeth Obado, Charles Ngugi, Hillary Egna and Kevin Fitzsimmons (2018). Effects of Biofloc Technology on Growth Performance of Nile Tilapia (Oreochromis niloticus) Fingerlings and Microbial Colonization in the System. International Journal of Agriculture, Environment and Bioresearch 3(5): 106-120. Kenneth Rono, Julius O. Manyala, David Lusega, Josiah A. Sabwa, Edwine Yongo, Charles Ngugi, Kevin Fitzsimmons & Hillary Egna (2018). Growth Performance of Spinach (Spinacia oleracea) on Diets Supplemented with Iron-Amino Acid Complex In an Aquaponic System in Kenya. International Journal of Research Science & Management 5(7): 117 – 127. Modelling of Water and Pollutant Cycles in Urban and Rural Catchments; GIS-based Modelling of Hydrological Processes; Use of Isotopes for Catchment Hydrology; Integrated River Basin Management; Water Resources Development in Developing Countries.